The decision to file bankruptcy can be a difficult one, However, when you take the time to find an experienced Miami bankruptcy attorney to help you navigate the complicated waters of bankruptcy, the path to financial freedom will be an easier one. Our experience and knowledge will help you understand the bankruptcy process in the State of Florida. One of the first things we will do with you is discuss the different types of bankruptcy that are available to individuals and married couples: Chapter 7 bankruptcy and Chapter 13 bankruptcy. Through our discussion, we will help you determine which type of bankruptcy is available to you and which is the best choice for your specific situation. This decision will based upon certain factors such as the type of debt you have and your level of income. By taking a look at all these factors, we can help you find the right bankruptcy plan and help you feel confident in your decision to file for bankruptcy. Though the terms of each type of bankruptcy are different, both types of bankruptcy will provide you with the fresh start that you deserve. Whether it’s a Chapter 7 bankruptcy or a Chapter 13 bankruptcy, the road to financial freedom starts today! Once a Chapter 7 bankruptcy or a Chapter 13 Bankruptcy is filed, by law, all creditor actions, including telephone calls, must stop. This includes foreclosure actions, potential repossessions, lawsuits, garnishments, and all other collection activities. 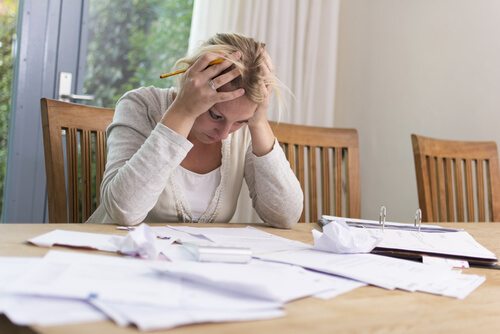 Your creditors must go through the Bankruptcy Court to address their issues, not you! You can get through a bankruptcy proceeding unscathed and feel hopeful about your financial future when you have the support of an experienced Miami bankruptcy attorney. Our firm offers the highest level of representation and will help you keep your dignity through this difficult situation. Click the convenient links below to receive more information about one professional and experienced group of Miami bankruptcy attorneys. They have many convenient offices located throughout the Metro Miami, Florida area.